Makoto Shichida was the founder of the Shichida Method of Education. He was born in 1929 in Gotsu, Japan. He started “Child Educational Institute” in 1958. The school gradually gained reputation in Japan over the years. Makoto Shichida’s early childhood education approach to draw out children’s “right brain” ability sets it apart from conventional “left brain” education approach. A school for further research and development of the Shichida Method was established in 1976 in Gotsu city. Makoto Shichida passed away on April 22, 2009 at the age of 79. 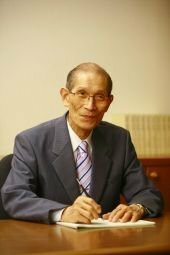 He dedicated a good 50 years of his life researching and developing the Shichida Method of Education and the Soul Education, advocating a whole brain education using both left and right brain. In his life, he has written 163 books and received 10 awards from various organisations, including the World Peace Prize in 1998. Today, there are more than 460 Shichida Child Academy centres in Japan and over 20 centres around the world offering the program. âThe main aim of the Shichida method is not to give children knowledge, but to cultivate their heart and soul.” –Makoto Shichida.